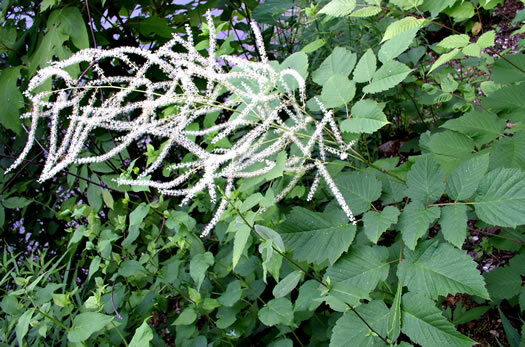 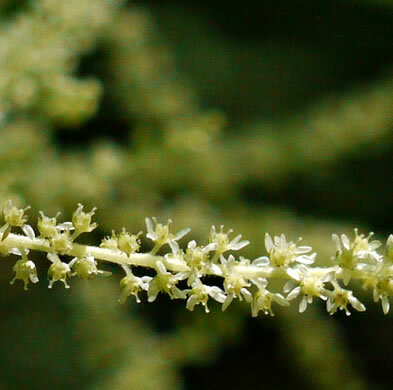 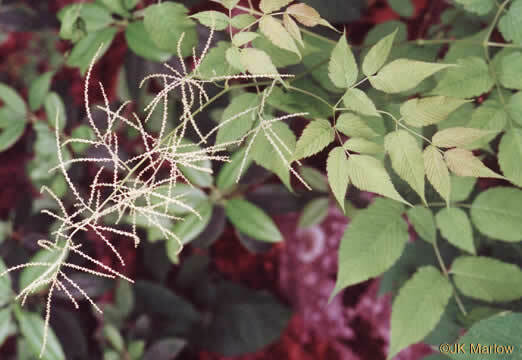 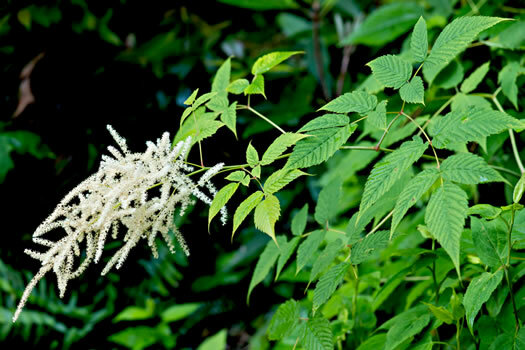 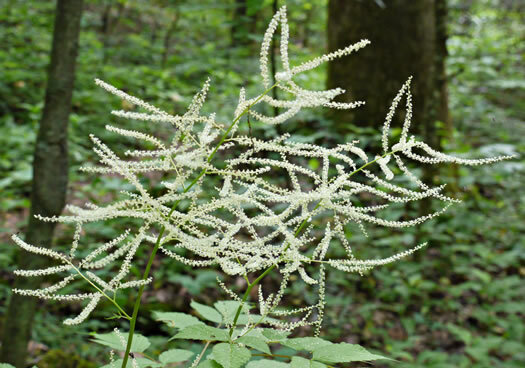 Female plants have clusters of tiny 5-petaled flowers, each with 3 carpels, per Wildflowers of Tennessee, the Ohio Valley, and the Southern Appalachians. 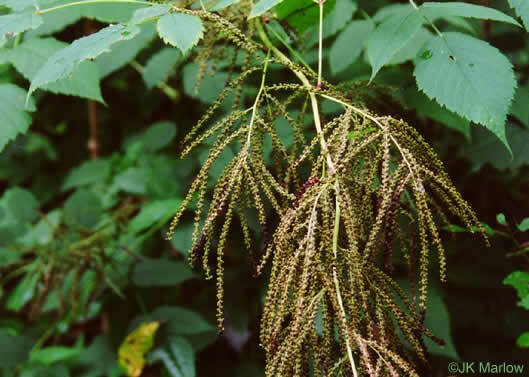 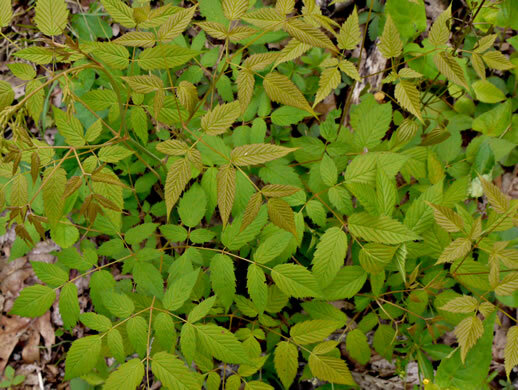 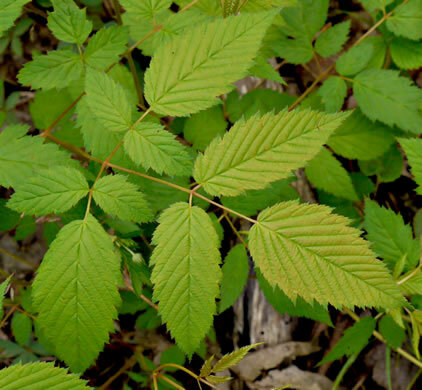 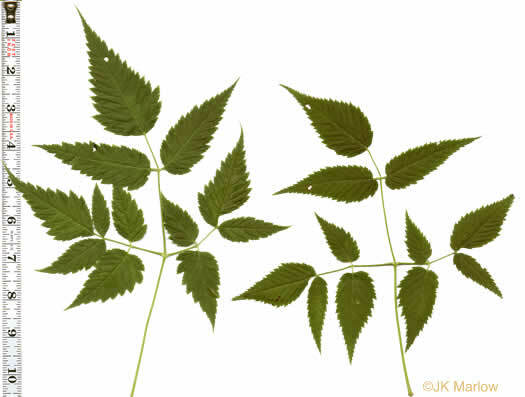 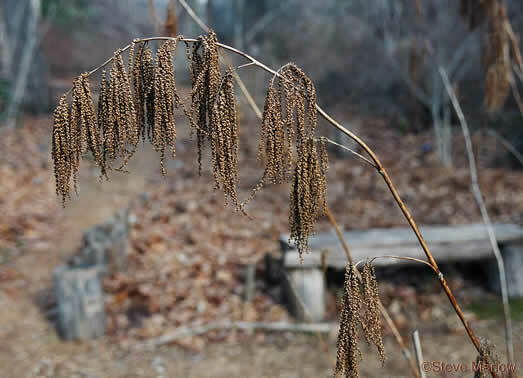 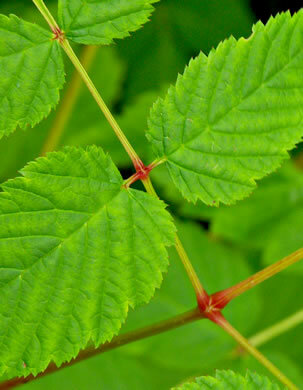 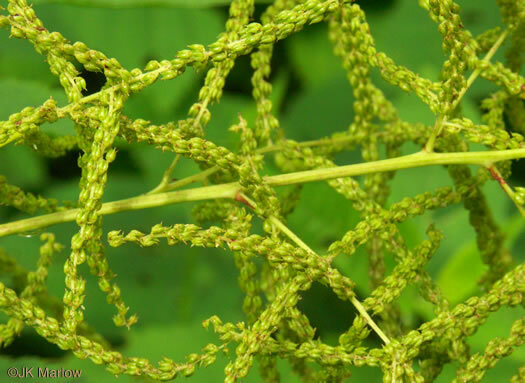 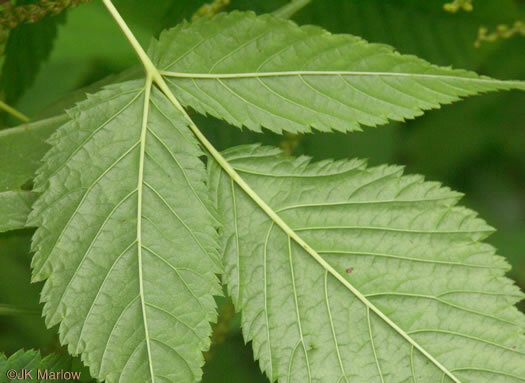 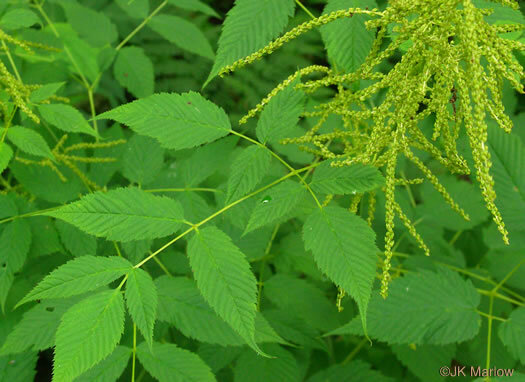 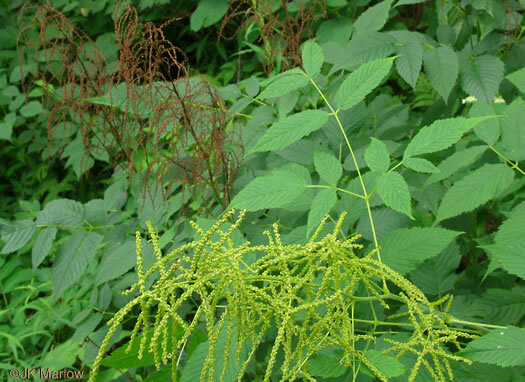 Leaflets resemble elm leaves; terminal leaflet is unlobed, per Wildflowers of Tennessee, the Ohio Valley, and the Southern Appalachians. 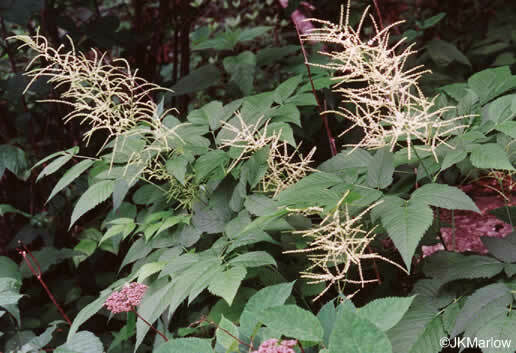 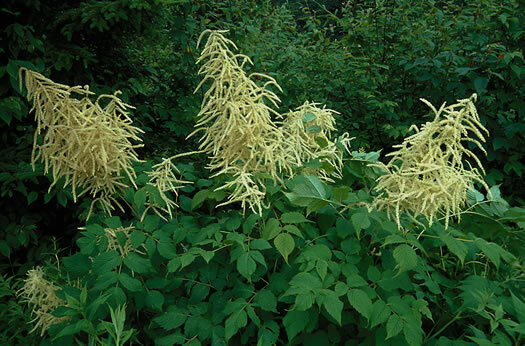 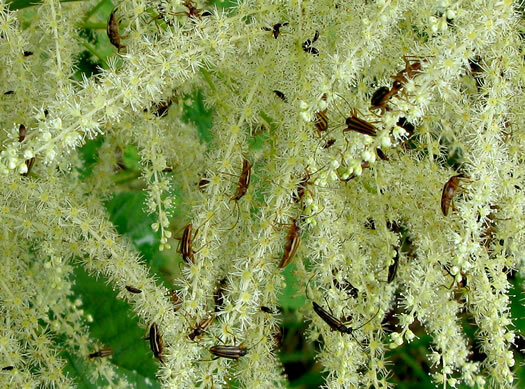 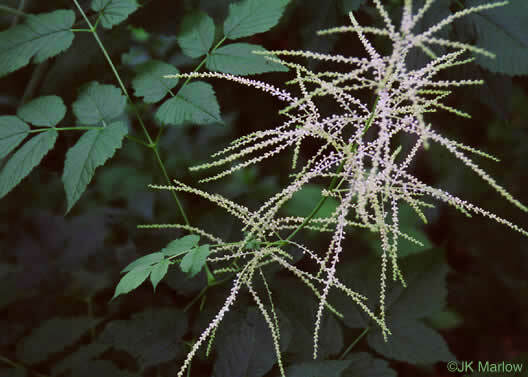 Leaflets have double-toothed eges, per Wildflowers of Tennessee, the Ohio Valley, and the Southern Appalachians. 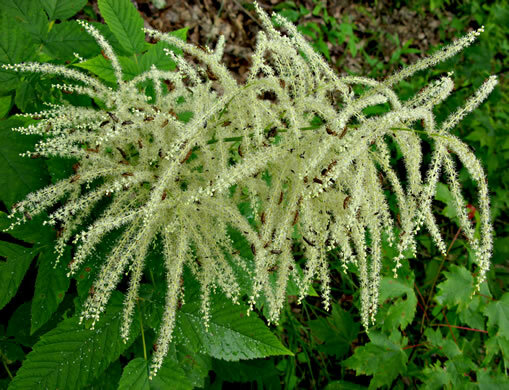 Inflorescence a large panicle of racemes, per Vascular Flora of the Carolinas.